How many content distribution networks are you on? Is it enough? Too much? Focusing on the wrong ones? If you’re asking yourself these questions, you aren’t alone. According to Content Marketing Institute’s 2018 B2B benchmark study, the most successful content marketers use an average of five platforms for distributing content. That’s an average, mind you. So for every marketer who sees killer engagement with organic posts on LinkedIn alone, there’s another who’s active on nine content distribution channels. Paid content distribution is becoming increasingly important to marketers looking to scale results from content. Orbit’s own research found that there is almost a 5x increase in paid content promotion since 2014. Sure, forging a healthy media mix of different paid, earned and owned marketing channels ensures you’re reaching who you need to somehow. But certain trends will influence that balance, and right now, distribution is what’s making the difference for B2B marketers, so it’s worth your investment. How do you know if you’re prioritizing the right platforms, channels and formats to get your content in front of the people who are most likely to benefit from it and eventually become your customers? This is where staying current can make all the difference. While savvy brands are seeing 24% completion rates, for example, with Instagram Stories Ads, display ad click through rates are averaging around 0.05% this year. A comparison like that starkly highlights why it’s so important to always be adopting and testing new channels. Those new channels are key to standing out and getting noticed by your target audience. Here are few worth testing. 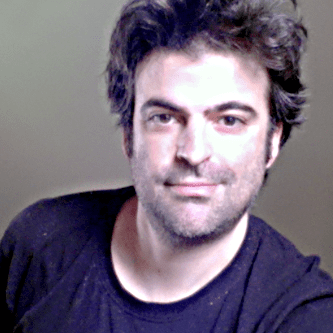 Quora rolled out its self-service ad platform to the public this past May. Quora itself has somewhat of a niche audience to begin with, so if you get in there now, you’ll likely find yourself significantly ahead of the competition in your field. Every niche is different, but for marketers at B2B firms, Quora can often be a traffic-driving powerhouse. In recent years, the B2B buyer’s journey has become an increasingly self-service and non-linear process. Thanks to the availability of real-deal experts among its community members – and the frictionless question-and-answer format of its posts – Quora has emerged as a go-to resource for people from companies seeking guidance as they evaluate solutions. The nature of the platform can yield highly engaged and high-quality audiences within its user base of 190 million monthly users. It makes a lot of sense to be active here organically, and as an extension of that, many early adopters are seeing considerable value in its paid platform. Media buying agency like Zato, have been running campaigns that see CPCs as low as $0.50-$0.80 and conversion rates as high as 5%. 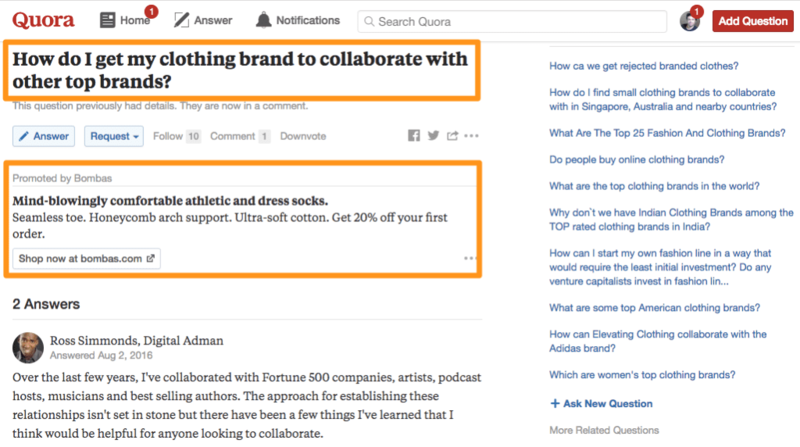 In the below example, Ross Simmonds has offered advice to someone from a clothing brand looking to forge partnerships in a post being followed by ten interested Quora members. His thoughtful, top-voted answer likely saw solid traffic, but before anyone can see it, their eyes will be drawn to an ad for socks. The consumer product promoted here may or may not be a mismatch for the post’s B2B audience, but the clothing niche is unquestionably relevant. With Quora, you can target your ad’s audience and placement by topic, the different categories of questions and answers on the site. Because content can easily be classified in a similar way (I’ll bet your blog is already organized into categories and tags), you’re likely to find the strategy side of Quora advertising simple – at least when it comes to targeting. By placing ads in relevant topics, you can drive people to landing pages and pieces of content that talks about their questions. The ads themselves are sparse and text-based, similar to search ads on Google, and there isn’t any functionality here for serving up ads to people, based on their activity and interests, regardless of the post they’re viewing. At least not yet, that is. There’s also no built-in conversion tracking, but that should be easy enough to attribute using UTM parameters in your URLs. This is another format that only recently became open for any business to experiment with. Using the feature to promote and tease content through a channel and format that’s so popular and trending that it’s more or less guaranteed to drive engagement with your content. Depending on the format of the content you’re distributing, you can repurpose it for consumption within an Instagram Story, or use the link feature to tease and drive further engagement with an owned media asset. Make sure that when you conceive of your campaign, though, you keep in mind the context of the platform and the Stories format in general. Video grabs attention more than static images, and there’s a good chance the Stories that play before and after your ad will have a first-person account, “real life” feel that your ad will ideally complement or dovetail with. Although there’s much to be said for blending in, many companies have boosted performance by using creative that contrasts the Instagram status quo. 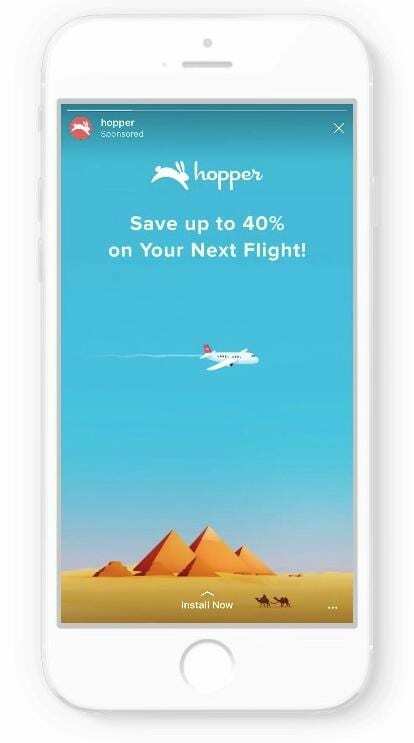 For example, the travel app company, Hopper, used an animated story to increase app installs by 67% and a 90% higher conversion rate in the US. Stories ads are immersive, full-screen screen experiences on mobile that can be built with either one image or a video up to 15 seconds long. 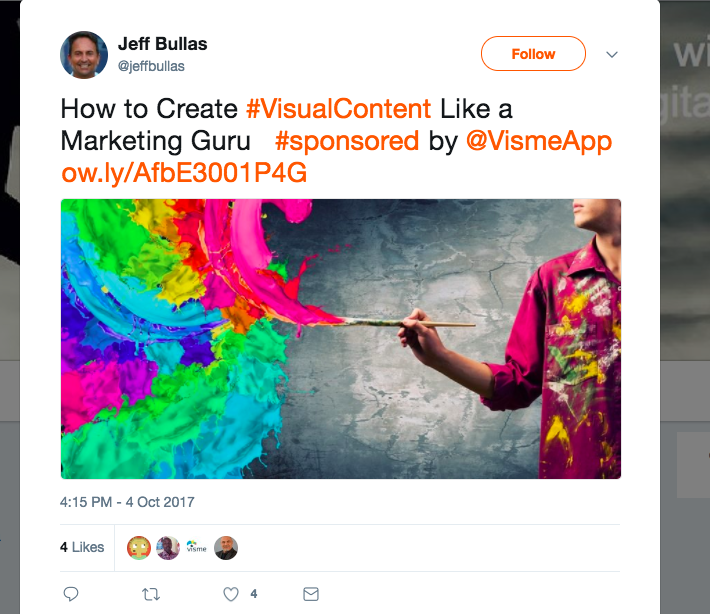 When viewed, your creative assets won’t be sharing space with any other content, so the viewer’s full attention will be on the ad. What’s more, you create and manage Stories campaigns via Facebook’s Ads Manager platform, so you can leverage their powerful targeting features like custom and lookalike audience for your Instagram ads campaign. For example, you can easily retarget website visitors or lookalikes using Facebook’s pixel and show them content within Stories. Creating and running Instagram advertising has gotten a lot easier over the past year, as the platform has evolved. You can optimize your Stories campaign based on multiple objectives now – like video views, traffic and even conversions – which is helpful specifically for driving performance for owned content assets. 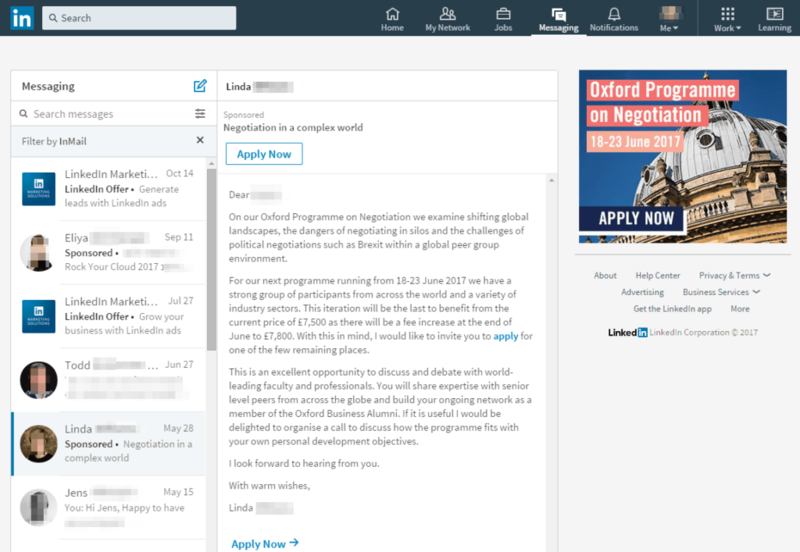 LinkedIn released self-service Sponsored InMail advertising to all brands last year, following a successful beta pilot for select accounts that yielded open rates hovering around 45% and clickthrough rates of 4 to 7%. The targeting on LinkedIn is perfect for driving B2B leads, and the email-like experience of LinkedIn messaging provides an experience different from traditional ad formats, which can help draw people’s attention. You can also add a banner graphic to your campaign, which aggregates to the right-hand column next to your message for extra branding. But with Sponsored InMail served only when users are active, unlimited word counts, and the ability to use dynamic personalization tags like “%FIRSTNAME%,” the experience here is more like receiving an email than seeing an ad for the end user. Use email-style subject lines when writing your InMail’s subject. Keep it friendly and interesting, enticing the recipient to open up. Format it to be easily skimmable, with a clear call-to-action. Introduce yourself as you would in other one-on-one communication. When it comes to targeting, the options for B2B are especially exciting given the LinkedIn data you can use, like company industry, job function or skills. With these strategies, InMail can be extremely effective for promoting new content offers to your target audience. Oil industry software provider VistaVu, for example, reached almost a 30% conversion rate on Sponsored InMail with one recent campaign. Another really great way to distribute and deliver content is through ads on Facebook Messenger. Like InMail, it’s a solid way to simulate the experience of talking directly to your target customer. By connecting a Facebook ad campaign to a Messenger bot and conversation, you can build out your Facebook audience and engagement while earning content conversions. With smart nurture flows in place, you can use Messenger bots as conversion mechanisms as well. Bots can schedule meetings, deliver links to premium downloads, capture email addresses and even process payments. 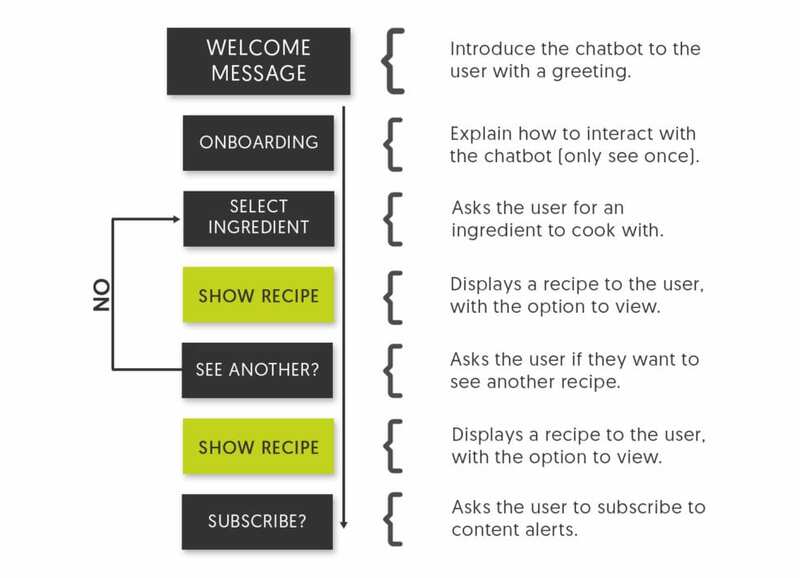 Below is a basic flow structure template that growth hacker Matthew Barby uses with his Messenger bots. One particularly powerful thing about this is that as people convert, you can build them into a list to send out further Messenger content to, like you would with an email list. So once someone’s on your list, you can use conversations to share future content on an ongoing basis. You can use Messenger conversations to either guide users to your full content, or deliver content directly through messages. That approach can also be used to shift a content upgrade strategy away from building an email list and towards building a messenger list. Another method is cross-promoting and distributing content from other sources. For example, if you’re promoting a Facebook Live replay through ads, a chatbot can send people alerts about future live streams. If you’re using Chatfuel, a free platform for building Messenger bots, then you can automate pushes to your Messenger audience with any number of Zapier automation flows. Below are some examples. Messenger bots can currently receive up to 88% open rates and 56% clickthrough rates, so if you feel like your content is not being seen via your current distribution channel mix, this is definitely one to experiment with. Another good chatbot tool is Mobile Monkey, which build powerful chatbots Facebook Messenger. Give it a shot! Another paid channel you’d be smart to explore is sponsorships. Instead of using different ad platforms, you can go directly to a content creator with a large and engaged audience. This gives you more control in terms of the partnership and where your brand is promoted, yielding more concentrated and targeted audience attention. Many creators find monetizing to be a challenge, so they’ll often be open to hearing about sponsorship opportunities and motivated to accept offers. Think of content like podcasts, blogs, Medium publications, YouTube videos or newsletters. All frequently have sponsors since the channels are difficult to monetize on their own. There are even services like Pear that are built for connecting sponsors with newsletter managers. And since it’s more of a partnership than an advertising spot, you’re building a strong brand association with the creator’s audience – especially when the sponsorship is a long-term one. And you can adjust your messaging to promote content instead of brand awareness. For example, the “usual” sponsor mention includes a description of the company and a mention of the homepage or a dedicated landing page. 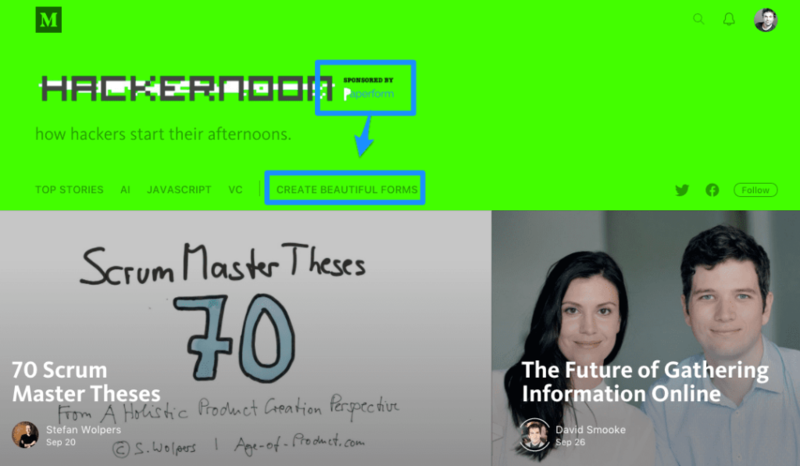 Above, the Hackernoon Medium publication is sponsored by Paperform, with a CTA to start using their forms. But that CTA could be for anything, including an item of targeted content that you’re aiming to draw eyes to. The sponsor link can easily drive traffic and conversions to a new premium asset content, such as a report or whitepaper. Influencer marketplaces have been around for several years, but with far too many of these platforms now around and influencer marketing currently undergoing a cringe-worthy maturation process, high-value deals are getting easier to find. Many are finding opportunities here to drive content shares, traffic and engagement. This is influencer marketing at scale, and like sponsorships, it lets you go straight to someone else’s engaged audience. But these campaigns can be logistically simpler than sponsorship-type partnerships, with a simple share instead of a deal that’s wider in scope. As a result, you can work with and reach more people at any given time – especially if you use a third-party platform to book the arrangement. When your goal for a piece of content is “going viral,” this type of paid distribution will accomplish that. And with well-known platforms like TapInfluence, you can reach the most relevant people for your content. Influencers have high engagement rates, with Influence.co reporting an average of 5.8% for business influencers on Instagram. There are also networks specifically created for content distribution versus general influencer marketing, such as Quuu Promote. 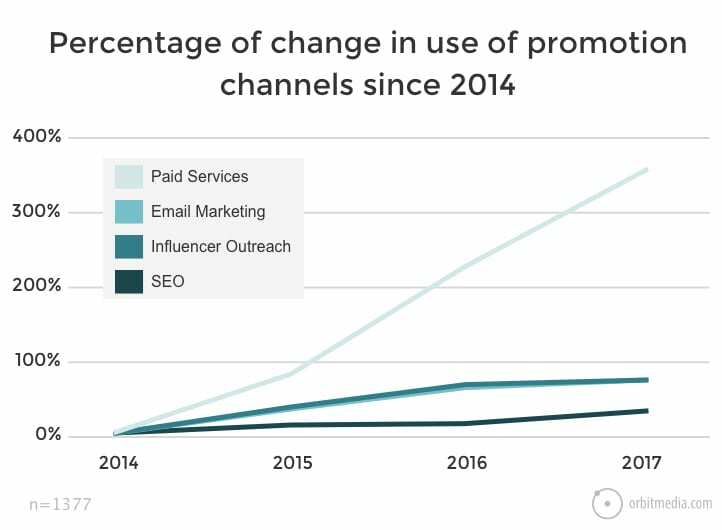 By connecting you with an influencer to share your content with their readers, instead of trying to reach them yourself, you can see CPCs around $0.04. With content saturation increasing constantly and your audience becoming harder to impress, finding new platforms for distributing your content is the key to getting noticed. You can’t rely on organic distribution alone, and the best paid channels three years ago could be a waste of marketing spend next year. Instead, consistently test new channels and new ways to use them to drive your content program. Identify your best and take advantage of them while they’re relevant. What paid strategies do you use? Are they getting results? Please share your stories in the comments below. Facebook’s stats are all just not believable – full transparency – I’ll make you an admin and you can see for yourself how much is contrary to logic – I’ve got 269,000 fans. The other side is ROI – my AOV is $55 – $5 – $10 CPAs are VERY hard to achieve. Conversely a single blog post 2 months ago has yielded 3000 visits in 60 days. At an almost impossible to achieve .50 CPC I would have paid $1500. Meaning the single post would have to have sold $3000 worth of products just to pay for the clicks – where’s the fun in that? Being more and more active on Quora, I may dip my toes in there. I see you’re near Tel Aviv – Did you hear about the dyslexic rabbi who walked around saying “yo”? Yeah, you’re not the only one with complaints about Facebook’s measurements! Happy to hear that you’re seeing such good results from your blog, without any paid promotion.